One of the most critical battles of the Afghan War is now revealed as never before. Lions of Kandahar is an inside account from the unique perspective of an active-duty U.S. Army Special Forces commander, an unparalled warrior with multiple deployments to the theater who has only recently returned from combat. Southern Afghanistan was slipping away. That was clear to then-Captain Rusty Bradley as he began his third tour of duty there in 2006. The Taliban and their allies were infiltrating everywhere, poised to reclaim Kandahar Province, their strategically vital onetime capital. To stop them, the NATO coalition launched Operation Medusa, the largest offensive in its history. The battlefield was the Panjwayi Valley, a densely packed warren of walled compounds that doubled neatly as enemy bunkers, lush orchards, and towering marijuana stands, laced through with treacherous irrigation ditches. A mass exodus of civilians heralded the carnage to come. Dispatched as a diversionary force in support of the main coalition attack, Bradley’s Special Forces A-team and two others, along with their longtime Afghan Army allies, watched from across the valley as the NATO force was quickly engulfed in a vicious counterattack. Key to relieving it and calling in effective air strikes was possession of a modest patch of high ground called Sperwan Ghar. Bradley’s small detachment assaulted the hill and, in the midst of a savage and unforgettable firefight, soon learned they were facing nearly a thousand seasoned fighters - from whom they seized an impossible victory. Now Bradley recounts the whole remarkable story as it actually happened. The blistering trek across Afghanistan’s infamous Red Desert. The eerie traces of the elusive Taliban. The close relations with the Afghan people and army, a primary mission focus. Sperwan Ghar itself: unremitting waves of fire from machine guns and rocket-propelled grenades; a targeted truck turned into an inferno; the death trap of a cut-off compound. Most important: the men, Americans and Afghans alike - the “shaky” medic with nerves of steel and a surgeon’s hands in battle; the tireless sergeant who seems to be everywhere at once; the soft-spoken intelligence officer with laser-sharp insight; the diminutive Afghan commander with a Goliath-sized heart; the cool maverick who risks all to rescue a grievously wounded comrade - each unique, all indelible in their everyday exercise of extraordinary heroism. This was an audio book that just gripped me and I couldn't stop listening to it even in the dead of night. 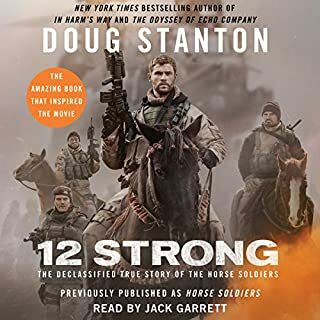 An amazing account of the bravery one has become accustomed to hearing about when you talk about American fighting men. 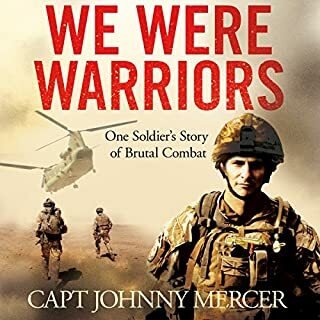 Well written by an experienced combat leader, thought-provoking and gripping in the account of a fierce fight between battle hardened adversaries. 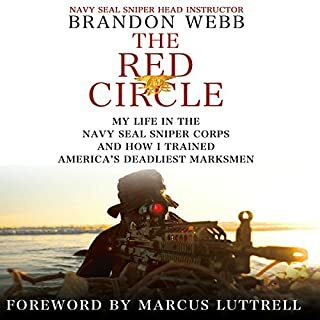 An interesting story if you have an interest in modern day Special Forces. Well read. It was great to read, an even better having it read to you. It's a terrific story about wot these soldiers did an how brave they where. Anyone interested in this genre or subject inpertickular will find this a very satisfying read o listen as the case may be...!! This is an excellent book, well written and well performed. I would recommend it highly to anyone interested in the books subject area. What made the experience of listening to Lions of Kandahar the most enjoyable? Would you recommend Lions of Kandahar to your friends? Why or why not? If you like this kind of book, yes, but it doesn't have the charm or wit of 'The junior officers' reading club'. I suspect it is historically accurate and the author never blows his own trumpet. What aspect of Eric G. Dove’s performance might you have changed? I was stationed at Sperwan Ghar 2011-2012 and had my life for forever changed in the awful valley. This story is an incredible account of what it took to pry "the Panj " from the enemy. Thank you Sir for telling the world what our fighting men endure in the dark places of the world. 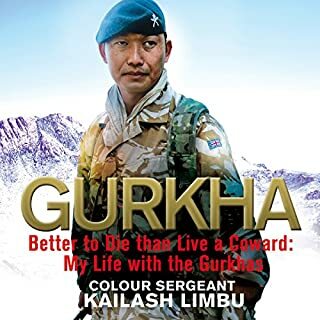 The experience that made listening to Lions of Kandahar the most enjoyable was that it was a very edge of your seat listen. There was always action, action, action. I don't believe that any of the men who were a participant in the battle of Kandahar ever slept over 3 hours without another man pulling on his boot to wake him up. What was one of the most memorable moments of Lions of Kandahar? One of the most memorable moments of Lions of Kandahar was when the Taliban and American forces were having another fierce battle and two Americans and four Afghans went to the school to conduct surveillance. The school was situated in the compound that had been won in one of the many vicious battles. The Taliban discovered them and they had to flee. The medic left his position to attend to the injured men. He ran across open space without giving any thoughts to the danger he was putting himself in. One of the American men, in the army special ops, was severely injured. One of the bullets had ripped through him and his intestines and other organs were exposed. The medic fixed him up as well as he could to be med evaced out. He was gotten onto the med evac hilo and flown out. Because of the medic's immediate attention, the soldier did survive. The medic was put in for the medal of honor by his commander. Eric G. Dove provided reality to the story. The fierceness of the many battles were given more validity then if I had read the words. I could feel the action and suspense. I could see the men's faces, filthy, with sweat running down into their eyes. I could hear the screams on the battlefield of the wounded men. I could see the raging fires caused by the air support dropping bombs on significant specified areas. I could also see the dead Taliban strewn across the battlefield. My extreme reaction was tears. This occurred a couple of times during particular scenes that the authors, Rusty Bradley and Kevin Maurer, described so clearly in words and Eric Dove, the narrator, brought to life. The capital of Afghanistan, Kandahar, was wanted by both the Taliban and the US. The Army Rangers and Afghan allies, were sent out to help the Canadians, who were losing men of their own special ops and were having great difficulty holding on, at a different battle close by. The battle of Kandahar, raged for four weeks, with no let up. The US had to keep asking for more supplies to be air-lifted in, they called for air defense many times as well as med evac hilos. The days were well over one hundred degrees and the nights could drop to freezing. The men were eating MRE's and drinking so much water, that the supply of water became critical at times. 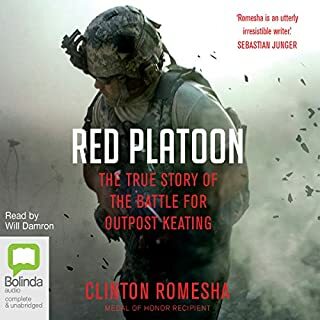 This has been the best described battle that I have read in the many books about the Afghanistan war. I can understand why Captain Rusty Bradley had to take many, many notes and compile them into a book. To allow this battle, that was so crucial to the American's, not to be put into words would have been unthinkable. This one battle illustrates how difficult and hellish war it. War illustrates how the men work together as a team. The men are very aware on one another. These men will do anything to help out one another. There was not one man described, who was not willing to die for their fellow man. These men would make unprecedented rescues of their fallen comrades on the battlefield. They would not leave a man behind, even if it meant their own death. This book is definitely a must read. The book passes by so quickly and to think that these men would not all go home after that battle was over. They were getting their gear together to move on to the next site, where the Canadians were fighting, that was considered worth fighting for. War is definitely not what I would consider the best job but thank you to the men and women who are willing to fight war to keep their fellow man safe and free. 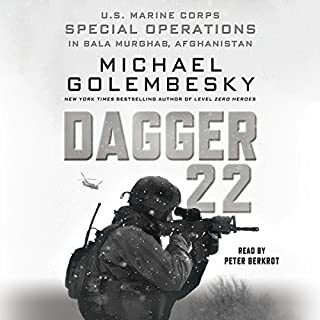 I'm assuming, having never been in combat, that the author has conveyed what modern warfare is really like from the perspective of a special forces soldier. I think the term Captain Rusty Bradley used with fondness was "warrior". 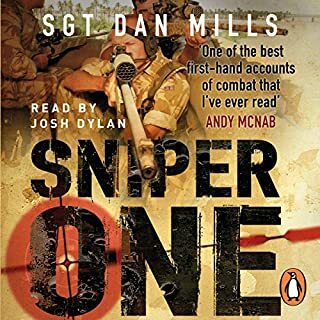 Very intense scenes rich with detail including the tactical thinking of a team leader in battle. Lots of "Rah! Rah! USA" but I could not fault a professional soldier from any nation for being patriotic and proud of his unit. 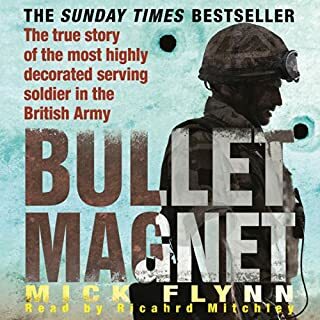 The narrator sounded suitably military. I could hear the wop wop of helicopters, concussion of RPG's and the crack of bullets along with the cries of pain or anger on the part of combatants on both sides, but that was just in my imagination. That's quite something for an author / narrator team to accomplish. Overall, a worthwhile credit and enjoyable time of listening. 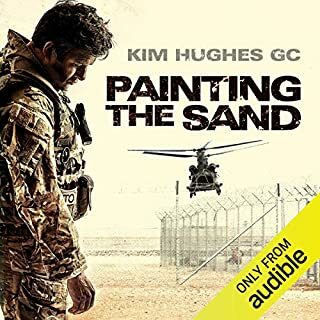 An excellent story about the war in Afghanistan. I really enjoyed this story. You never hear about what these men go through on a daily basis on the news unless it puts them in a bad light. 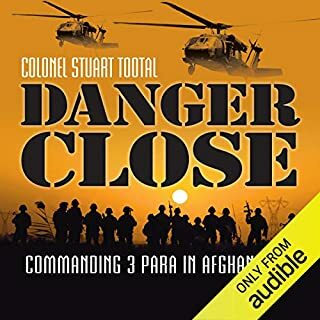 The story is about the ousting of the Taliban from Kandahar and how our special forces troops have to work with the local tribes to attain that goal. It is frustrating to think that they had accomplished it once and had to retake ground that the international allied troops wouldn't protect. The narration is great and the story is fast moving. Buy it! 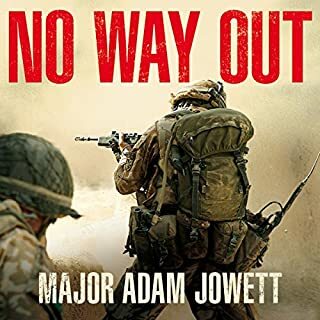 From this book the reader will not only learn about the War in Afghanistan but also about the operation of the Special Forces. Bradley was a Captain in the Special Forces Operational Detachment-Alpha (SFODA) which is a group of twelve highly trained men. Little has been written about the Special Force Units until this book. The book opens with the dramatic rendition of “Troops in Contact” engagement only to find themselves surrounded by hundreds of insurgents and running low on ammunition. The author uses flash backs to explain how he got to this point in 2006. Bradley’s unit was to support the Canadian led NATO offensive “Operation Medusa”, intended to clear the insurgents out the South. The battle of Sperwan Ghar was the most intense and sustained OSF combat operation to date. The book is well written and fast paced. 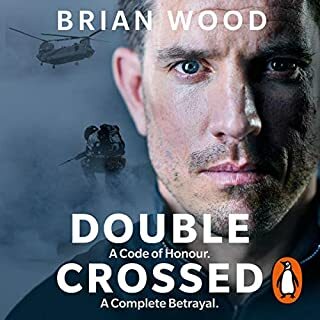 It is written in the first person narrative and provides a detailed day to day account of Bradley’s last tour in Afghanistan. The book reads more like a novel than a memoir. This is an action packed memoir. I read this in the audiobook format but the book format has maps and pictures which are helpful. Bradley tells the story of the battle in detail and also provides an in-depth view of the men involved. 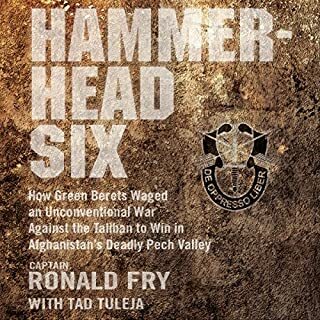 I found this book helpful in understanding the War in Afghanistan as well as learning more about the Special Forces. This was an exciting and informative memoir to read. Eric G. Dove did a good job narrating the book. Our soldiers rarely get credit for the work they do. At least the positive, amazing work they do. (We all too often hear about the problem soldiers or 'questionable' techniques employed.) 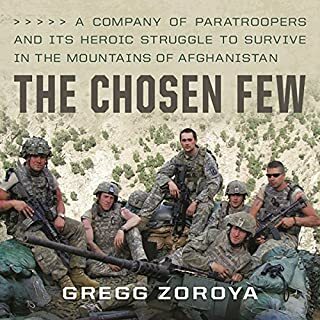 Lions of Kandahar tells the incredible story of 30 Special Forces (Green Beret) operators and 50 Afghani soldiers who were to support a Canadian led UN mission to push back a Taliban stronghold. Instead these 80 warriors found themselves in an area held by hundreds if not a thousand Taliban 'soldiers', including several high ranking leaders. 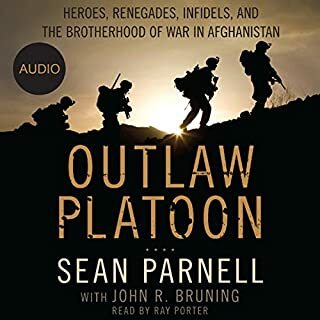 Through several days of active conflict, operating on minimal sleep and limited support for the first week, these warriors did what it took to repel the Taliban and reclaim the area for local farmers. Don't be fooled. The Taliban used women, children and the elderly as human shields. So called collateral damage does NOT occur because our soldiers are uncaring, arrogant or unskilled. It occurs because this enemy, like ISIS, care more about their cause than they do for the innocent people who make their homes in the area. These soldiers went into this mission to do a job to the best of their abilities, and try not to get killed while doing what they were trained for. 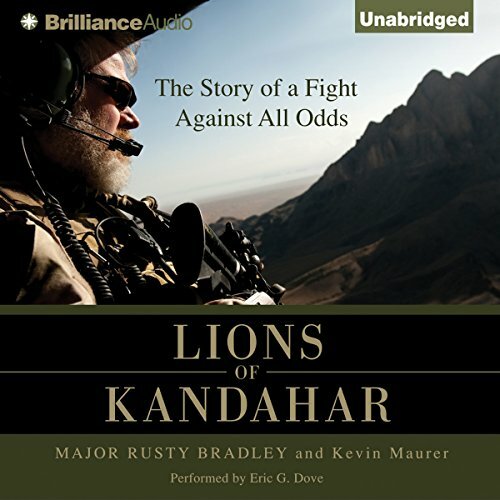 Where does Lions of Kandahar rank among all the audiobooks you’ve listened to so far? One of the best I have listened to. I felt like I was right there in the battle through the entire book. It was both factual and credible. Having spent 20 years in the Special Forces, I know that this story and the terminology are from real Special Forces soldiers. He plays the parts of many of the characters, to include accents. 'Lions of Kandahar' brings the combat close--sometimes too close for comfort. 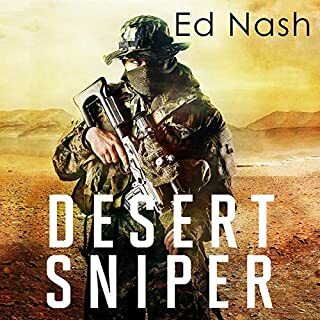 It's a gritty, valiant look at one man's experiences in the recent conflict. This unique focus has its advantages and disadvantages. 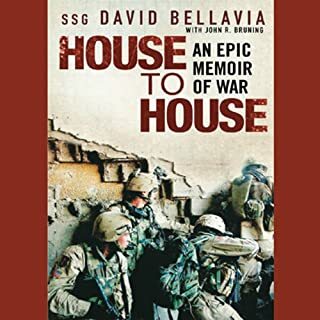 The author's intimate knowledge of the subject makes for a detailed and compelling read, and because the team is so small, it's easy to keep track of the various participants in course of the battles. However, at the same time this narrow focus does not lend itself to an understanding of "the bigger picture" regarding Afghanistan, or how the events depicted in "Lions" fit in to that bigger picture. 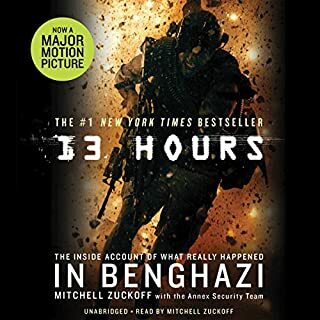 The overall story was interesting and definitley worth a listen if you are into the latest crop of military related books (Lone Survivor, SEAL Team Six, American Sniper, etc.). I have nothing but praise and respect for Mr. Bradley and his team and thank them for their remarkable service. The flow of the story was a bit disjointed in parts with the dialogue sounding a bit forced. As a firearms enthusiast, I did appreciate the detailed descriptions of weapons used by both sides of each conflict. In the later chapters as the fighting intensified, there were many gripping moments when I did not want to turn the car off and stop listenening. I am glad that I purchased this book and spent the time to learn about this important battle and the heroic people involved. I enjoyed listening to this book very much. What did you love best about Lions of Kandahar? I thoroughly enjoyed listening to this book; both the story and the narrator were excellent!